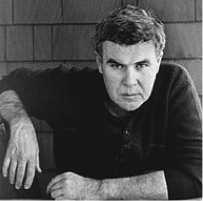 Raymond Clevie Carver was a 20th century American poet who was also a major contributor to the resurgence of short story writing in his country which happened during the 1980s. He was born on the 25th May 1938 in the mill town of Clatskanie, Oregon. He spent his formative years though in Yakima, Washington. It was a working class family with his father earning a living in the sawmills and as a fisherman, and his mother an occasional waitress or retail clerk. Raymond had a high school education in Yakima and devoured the novels of Mickey Spillane and publications such as Outdoor Life and Sports Afield. Like his father, he enjoyed fishing and hunting. On leaving school he set to work in the sawmills with his father but he was forced to grow up rapidly when, having made his sixteen years old girlfriend pregnant, he married her with a second child arriving before he reached the age of twenty. The marriage worked though, with both of them taking jobs to support each other. Carver developed an interest in writing shortly after going to live in California. He found a mentor in the novelist John Gardner and was inspired to write the short story The Furious Seasons, which was published in 1961. He decided to go back into education and achieved a Bachelors’ degree in 1963 from the Humboldt State College in Arcata, California. While at college he acted as editor for a campus literary magazine and he also contributed a number of his own pieces to the publication. He might have got a Masters’ but dropped out less than half way through the course citing the program’s “upper middle class milieu” as a reason. During the 1960s Carver continued to write stories while working at a number of manual labour jobs and became associated with the poet Dennis Schmitz in Sacramento. Schmitz guided him towards the publication of his first collection of poems, called Near Klamath. Soon, life got better for Carver with his appointment to a post as textbook editor and public relations director for a scientific company in Palo Alto, California. He remained in touch with the literary world though and established relationships with writers such as George Hitchcock and Gordon Lish into the 1970s. He moved into teaching at the universities of Santa Cruz and Berkeley while also taking up his own studies in creative writing at Stanford University. He was becoming comfortably off and also well established in the literary world. His first collection of short stories, Will You Please Be Quiet, Please? Appeared in 1976. It was well received and made the short list for the National Book Award. Just when things were starting to go so well he lapsed into excessive drinking, thus following his father in that line. He was treated for alcoholism and also experimented with marijuana and cocaine, thus seriously abusing his health. Somehow he pulled back from the abyss and got back into writing good short stories and poetry. His excesses contributed to the destruction of his marriage though. 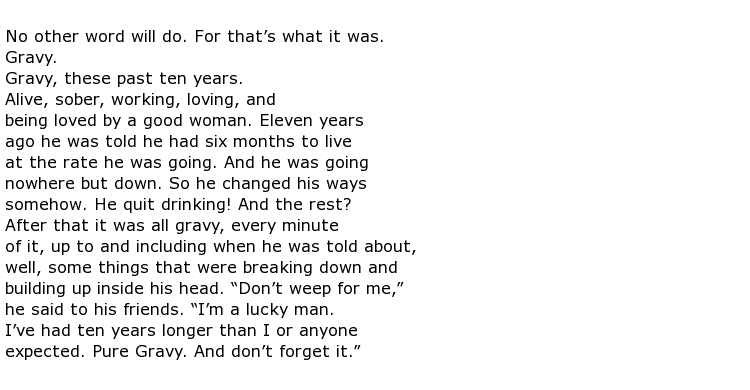 He did, eventually, remarry, but this happened just months before he died in 1988. Obviously influenced by where he had come from, much of Carver’s work can be described as “blue collar” themed. He never “pigeon-holed” himself, tending to write quickly and briefly with the intention of always finishing a poem or a story in one sitting. Critics though have aligned him with the so-called “dirty realism” movement, a style of writing often focusing on the seamier side of life. Raymond Clevie Carver died of lung cancer on the 2nd August 1988, aged 50.